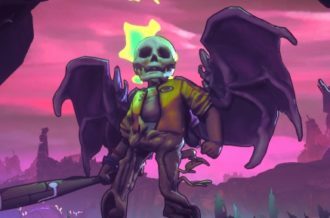 One of the industry’s less-vilified actions to pop up in recent times — seeming to sit firmly alright in the consumer psyche — is the presence of independent games slowly but surely making their way onto other platforms. 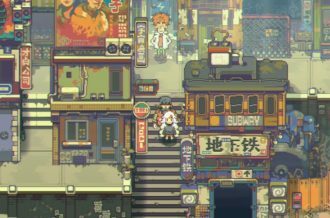 After a brief time briskly riding the solitary wave of an exclusively-bound console or even the humble PC altogether, it’s rare that you see even the smallest of studios not looking to other avenues to have their finished product potentially increase its player-base across a multitude of platforms. Whether it’s the exact same build or attempting to incentivize new players with additional content, a transfer isn’t necessarily a bad thing; it’s an opportunity for consumers and press alike to get a second bite of the cherry — another chance to catch up on those titles we may or may not have let dart past our collective eyes. I’m sure as heck guilty as charged on letting some interesting titles, released in the past year, slip by me on first go. And that guilt has only grown (even if said guilt is coated with a lovely helping of relief) having come away from GDC knowing full well that the two titles in question today are already out there in the wild. Fret not self-loathing writer; fret not humble reader. There is of course a second chance and based on the games I had a chance to finally come face-to-face with, if this is indeed your first time discovering them, believe me when I say that these should not, in any way, be ignored…again. 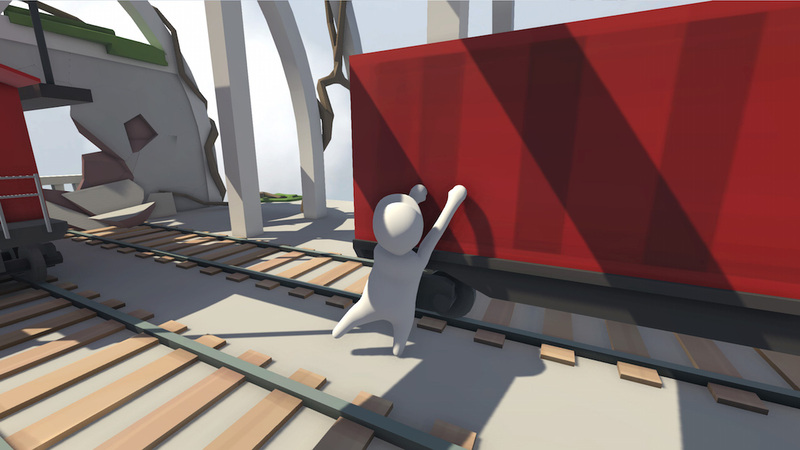 While its prime gimmick could very well have pin-pointed its limitations beyond the crazed comedy of its controls, Human Fall Flat — created by No Brakes Games — was another one of those literal physics-driven games that showed that genuine enjoyment didn’t have to be some convoluted process of programmed procedures and triggers. That its goofy and wobbly make-up in the game’s monotone main character was as much a literal source of entertainment as it was a visual reflection of the deadpan delivery of humor omnipresent during gameplay. A means for players to get to grips with the over-complicated series of puzzles that, like Octodad, provide the kind of positive frustration we, subconsciously, demand in a puzzle game. But with the inclusion of two-player co-op, itself coupled alongside new levels and customisation features this time round, Human Fall Flat’s true pulling power lies in its random acts of chaos masquerading as some desperate plea to co-operate with each other. I lost count of the amount of times me and a fellow player found ourselves ridiculously caught in one another’s genuine drive to make the best of a situation — even if said situation landed either or both of us on the edge of peril, worse off than how we started. Be it pulling at one another’s gelatinous presence while hanging off the edge of a platform or mistakenly placing the other in a peculiar position, you can get as much joy out of simply making a fool of one’s self, as you can eventually solving the series of puzzles that block your progress to each level’s end goal. It matters not that you, for example, can grab hold of an object in an odd way; what ultimately determines the objective amount of fun you get out of it, is how easy (or difficult) you yourself approach the concept of everything around you being as deliberately loose and hard to grasp as one can imagine. 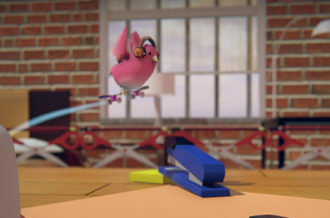 But that’s the charm to No Brakes’ take on this particularly anti-physics 3D puzzler: that its sparse environments act more like gym apparatus for players themselves to become the culprit (as much the victim) behind their own swagger-fuelled, initially-confident downfall. The game is there to purely provide a catalyst; the real sparks only start flying when you come to the conclusion that doing something as simple as climbing a wall in actuality conjures a surprising level of triumph upon completion. Or better yet, that the highlights of any one play through could very well be in how you and a buddy bounce off each others’ hopeful/hopeless follies. You could say it’s a very human kind of comic delivery, one built not through some complex series of structural punch-lines, but quite simply just through some good old-fashioned, modest innocence in working out (successfully or otherwise) the rules governing this one particular video game. 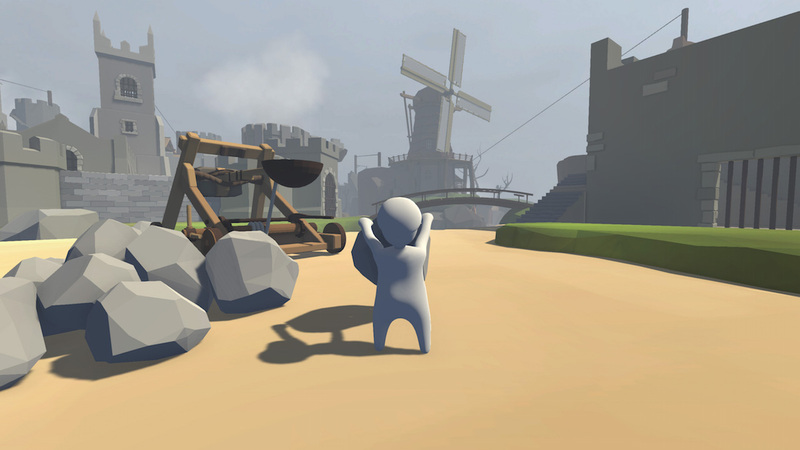 No matter how long it takes for you to get accustomed, Human Fall Flat is sure to bring a smile to your face. 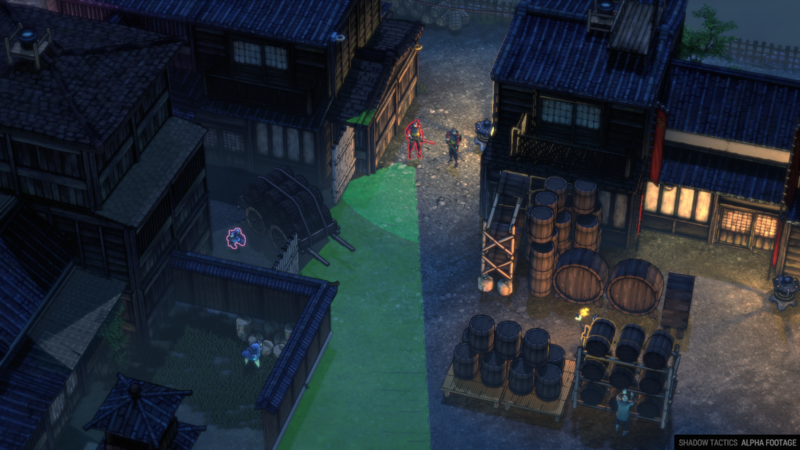 And on the subject of the rules of physics, by contrast, while its physics may well be set firmly in the realms of relative video game believability, Mimimi Productions’ Shadow Tactics: Blade of the Shogun is, like Human Fall Flat, a similar example in how the very delivery of the gameplay mechanics on show, can create a series of short-burst (but plentiful) enjoyments as opposed to an eventual turning point whereby frustration becomes relief becomes, hopefully, genuine enjoyment. 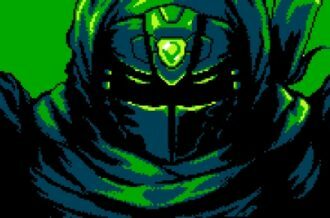 The real-time strategy title that incorporates instead the slinky if familiarly-calculated attire of an Eastern-orientated realm of ninjas, epitomizes why such moment-to-moment gameplay is so satisfying to continue on with. Not just because of the presets in place that govern such things as AI interactions (be it with one another or with yourself in some frantic confrontation) and getting due satisfaction in finally working them out, but because when you get it right, you feel like you’ve genuinely outwitted the entire program itself, rather than a slew or hand-full of NPCs. 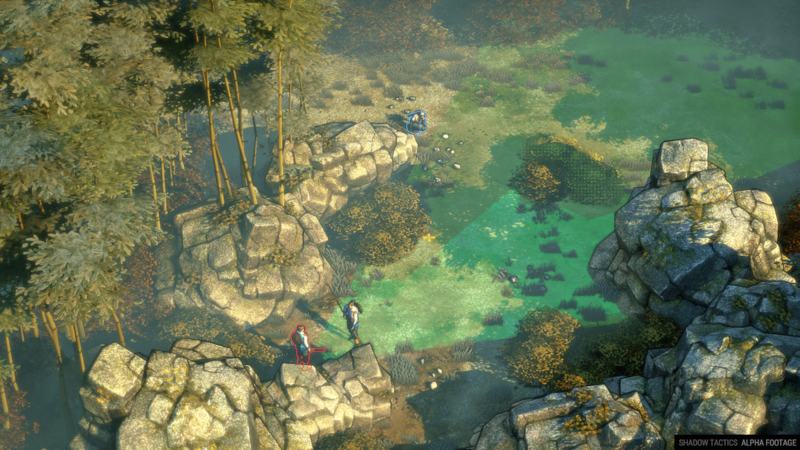 Instead what you have done is make good use of Shadow Tactics’ varying protagonists to either sneak or butcher one’s way through each of the game’s isometric-like, overhead level maps – taking note of the environmental events and contexts on opportune show, while at the same time recognizing that all actions have an inevitable opposing reaction. Blades of the Shogun is aptly built to constantly question and throw up curve balls to the player based on how they approach dilemmas either with the level design itself or the specific placement of enemy troops or even neutral civilians in parts. Guards won’t simply stand passive or go on otherwise blissful to your murderous ways should you go down the aggressive route, nor will civilians simply let an odd-looking stranger pass them by without notice. 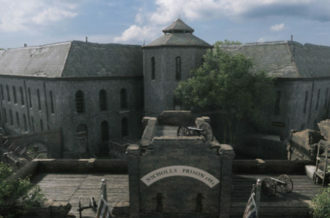 Yet at the same time, players taking on a more stealthier means will also appreciate that away from all direct/indirect contact, the game’s method of suggesting one’s limitations in such things as visibility and movement, is one that ultimately and fortunately leaves it to the player in deciding if it’s a risk that is indeed worth taking. It’s difficult for a developer to offer hints without seeming like they’re blatantly giving the solution away — or perhaps handing it over on a silver platter, under some illusion of challenge. 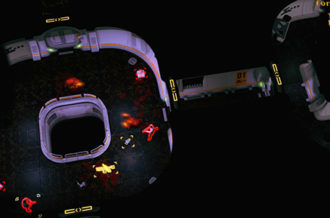 But Blades of the Shogun, in all its many enemy FOVs and light-shadow choke points, is still a delight to slowly trudge one’s way through as the escalation from ghostly confidence to frantic aggression upon being spotted signals another welcome hall-mark of a stealth game that knows how and when to balance providing one with the tools to tackle an objective, but leaving enough out in the open for players to deduce what might be beneficial…and what could be another possible hinderance to some perfect stealth run. Blades of the Shogun isn’t the most “active” or constantly-transitioning form of strategy, but what it does well in is the ability to find a comfortable unison between action-orientated stealth and real-time, multilateral strategy. A game that can appease both crowds with such tireless ease is one not to curl your console-centred nose over. Both titles — Human Fall Flat & Shadow Tactics: Blades of the Shogun — will both be available later this year for PS4 & Xbox One.